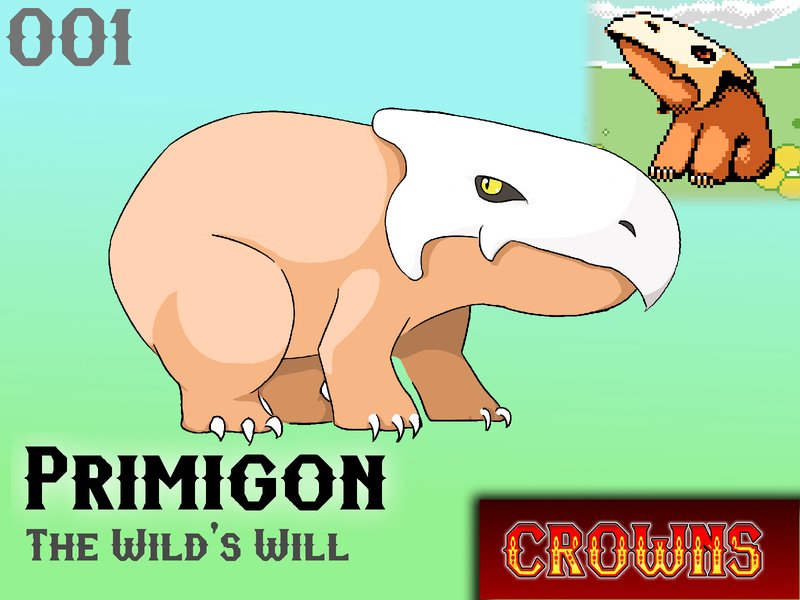 Primigon are commonly found on the plains of Crown Island. Just as eager to charge at you as they are to glare, their wild nature makes them difficult to tame. However, a strong soul with a well-made contract can earn the favor of a Primigon - as long as they offer to train the Primigon to its peak power. Primigon are useful as beasts of burden. They can often be seen pulling carts all over Crown Island, often on farms. Unfortunately their stubborn nature makes keeping a breeding population almost impossible - causing most would-be Primigon owners to have no choice but to pay a local Tamer to collect a Primigon on their behalf. Anyone that decides to try their hand at Monster Taming just to nab a Primigon often lack a Tamer's keen eye to spot the strength of a Primigon - which can lead to serious injury when entering their territory. Will Primigon make your team?